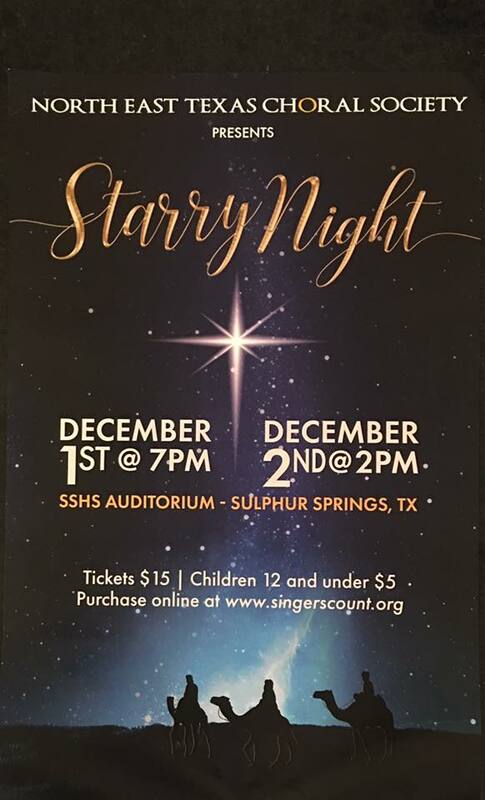 The North East Texas Choral Society presents the Christmas musical, “Starry Night,” on December 1 at 7:00 pm and Sunday, December 2, at 2:00 pm in the Sulphur Springs High School Auditorium. Tickets are $15 for adults and $5 for children 12 and under. You may purchase tickets online at www.singerscount.org.